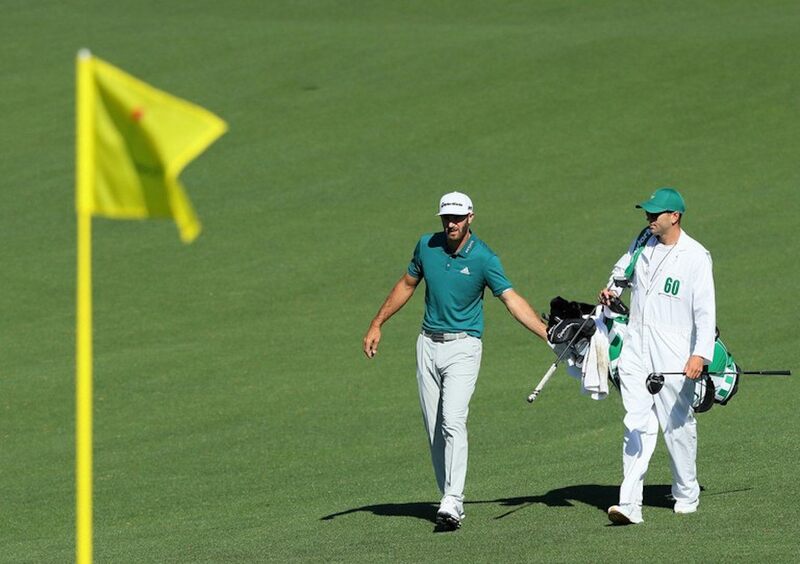 Dustin Johnson New Favorite to Win Masters, but for How Long? Home » Golf » Dustin Johnson New Favorite to Win Masters, but for How Long? The Masters is 33 days away, but who is counting? Last week the Westgate Las Vegas SuperBook put Dustin Johnson as the favorite after his victory at the World Golf Championships-Mexico Championship, but depending on who those close to Johnson on the betting board do in the next few weeks, it could change. The favorite has already shifted two other times. When the odds were released in August, Jordan Spieth was the top pick at 10/1. In February, Tiger Woods and Justin Rose were the favorites at 12/1. Now Johnson is having his turn at the top at 10/1. He is followed by Woods, Rory McIlroy, and Rose at 12/1. Justin Thomas is the third selection at 14/1. The 34-year-old has never won at Augusta National, though he has finished in the top 10 in the last three appearances, including a tied for fourth in 2016. After two top 10 finishes in four of 2018’s major championships, Johnson is ready for this year. Picking who is going to win at Augusta National can be extremely difficult. Since 2003, only two favorites have won, Tiger Woods in 2005 and Jordan Spieth in 2015. Even big names sometimes struggle to get to the winner’s circle. For every Phil Mickelson (2004, 2006,2010) and Bubba Watson (2012, 2014), there is a Charl Schwartzel (2011) and Danny Willett (2016). This tournament tends to produce more first-time major winners than any of the other three. The last two winners, Sergio Garcia and Patrick Reed, won their first major at Augusta. Not even finishing in the top 5 last year guarantees oddsmakers will favor you the following year. Cameron Smith finished tied for fifth, and he has odds of 80/1. Henrik Stenson finished with the same score as Smith, and he is a touch better at 60/1. The golfer that gets most of the money, especially early, is Woods. He opened at 12/1 in August with Johnson and Thomas. Then in February, with money coming in on the 43-year-old, who hasn’t won a major since the 2008 US Open, he became the favorite with Rose. Now Woods is behind Johnson, but still at 12/1. Many experts have predicted that if Woods is going to win another major, it would probably be a Masters. He has won four of them. Despite Woods not winning a Masters since 2005, the bets continue to come in on him. Jeff Sherman, vice president of risk management at the Westgate, posted on Twitter a week ago that someone put a $10,000 bet on Woods to win the Masters. Woods also has a section of major championship related prop bets at the sportsbook. The first is will Woods win any major in 2019. The yes is currently at +300, and the no is at -400. Another wager is how many majors will Woods win in 2019. Zero is the favorite at 1/4, while one is 13/4, two is 16/1, three is 100/1, and all four is 500/1.